"My sense is that the sector is going to acquire stability and looking at the examples around the world scene 3+1 (3 private players and a PSU) is a good number and I don’t see it going down from that," Sharma said here. The Indian telecom operators are now reduced to three -Airtel, Vodafone-Idea and Jio and BSNL-MTNL following a bloody battle on tariffs that has seen shut down of operations of many fringe telcos and merger of two big telcos to take on Reliance Jio which unleashed a free and cheap service era that catapulted India to be data consuming nation ahead of US and China combined. But in the process, the incumbent telcos have bled on revenues and profitability and have found it diffcult to even service spectrum loans. While the talk of India not missing the 5G bus is loud on private telcos and the government, the Trai chairman had a word of caution — India can be a frontrunner in deployment of 5G but a lot will hinge on bolstering investments in fibre infrastructure, which is currently inadequate and trailing countries like China. "In 5G space, we can leapfrog inadequacies which we have in physical world, all of which can be overcome with use of information and communication technologies...There is a serious concern that while people are talking of 5G as a slogan but it won't happen unless we put a lot of investment in fibre. Without fibre, 5G will not happen. 5G is going to have important use-cases in India because it will be a platform over which all the applications will be run. But it will not happen if there is no fibre", Sharma said. He was speaking at the India Digital Summit organised by Internet and Mobile Association of India (IAMAI). At the same time, he said the investment need not just come from the TSPs (telecom service providers) it should also come from eco system companies as well. 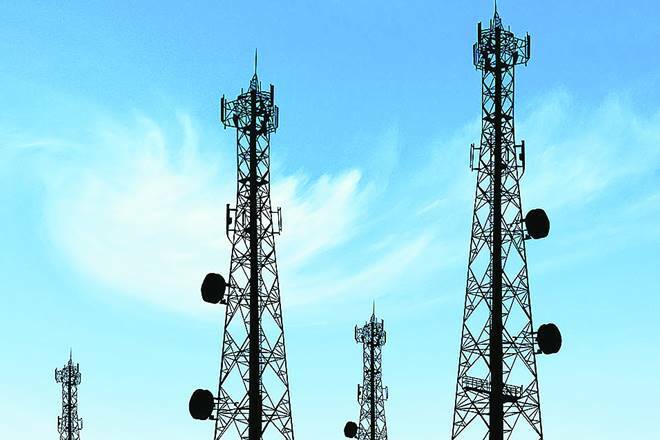 “It is not just telecom companies that will need to invest. There are several avenues to generate investment and we are already seeing it happen now.” For instance, telecom service providers are already sharing tower. Infrastructure sharing could be one of the keys for the 5G network," Sharma said. He said the fiberisation of the whole country is a must for the success of 5G. India has only 22 per cent of mobile towers connected on fibre, while 78 per cent are without fibre, on wireless. China on the other hand, has 80 per cent connectivity through fibre and the rest through wireless. The optical fibre cable laid today till date is equal to optical fibre cable laid in China in one single year," Sharma said adding fixed infrastructure will be critical for attaining a reliable and sustainable growth. Policies need to focus on promoting investments in infrastructure, he said. "The National Digital Communications Policy (NDCP) contains those set of policies and statements and we need to operationalise those to ensure investment," Sharma said. The new telecom policy - NDCP - aims to attract USD 100 billion investment and create four million jobs in the sector by 2022. It seeks to provide universal broadband connectivity at 50 Mbps to every citizen by 2022, and also talks of enhancing the contribution of digital communications sector to 8 per cent of India's GDP, from the about 6 per cent now. The TRAI chief further said there would be a need to unbundle service and infrastructure layers at some point, and fibre sharing could be one of the options in infrastructure sharing. "We think end-of-end service provisioning will not happen in 5G," Sharma said. He further said, the connectivity problems in the country need to be solved with urgency, and regulations should not be "constrained" by the fact that only a certain set of service providers should provide a particular service. "No one should have the monopoly of providing services to people of this country, and we should solve this problem by whatever means and instruments we can deploy," he said.